It lies halfway along the street bearing the same name and numbers 73. The entire pagoda compound is the ancient village of An Tap. At this place at the beginning of the Lê Dynasty (15th centurv). A house called Quan Su was built to receive ambassadors from Laos, Chiem Thanh, etc. when thev visited Thang Long. Since these ambassadors were all Buddhists, a pagoda was built near Quan Su for them to practise the religion. Later, Quan Su was destroyed but the Quan Su Pagoda was preserved. In 1934, the Tonkinese Buddhist Association used this pagoda as its headquarters. In 1942, the pagoda was rebuilt in its current architecture and interior decoration. 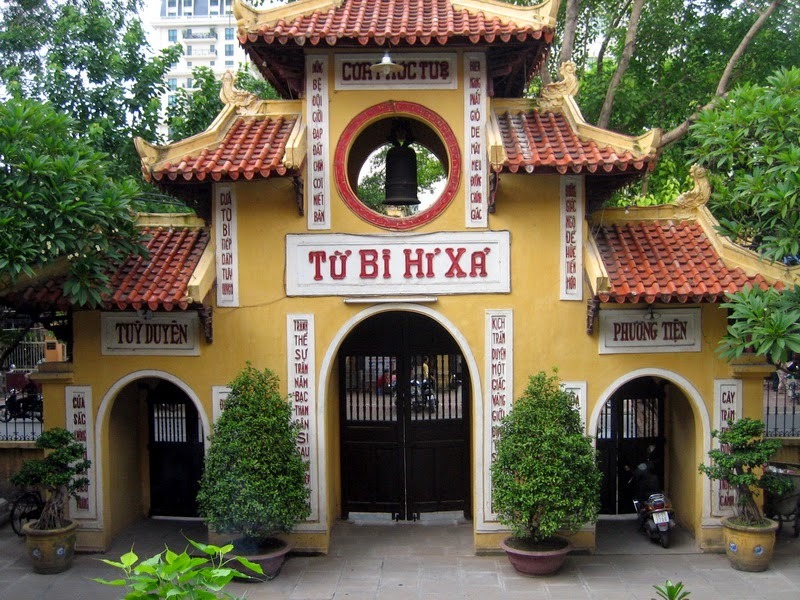 In 1958, Viet Nam’s United Buddhist Association was founded, making the pagoda its head office.